I used a thermarest z-rest for years and didn't have any problems. I haven't had any problems with my folding pad. They do tend to flatten out with a great deal of use in the high pressure areas like the upper back and hips. A foam pad is forever. Too bad they are like sleeping on the ground, only slightly warmer. Gary, I have a couple of foam pads like what you show, from Chinese no-name sold on eBay, one for me and one for my daughter. I got them from two different sellers and they have two different "brand" names on them, but they are nearly identical in every other way, so I assume that the ones you are looking at would also be similar. 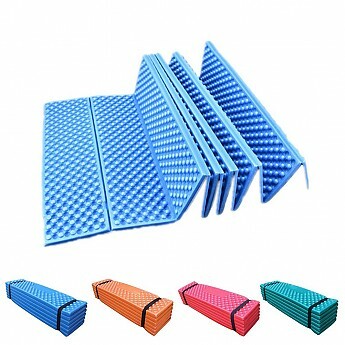 They are very similar to the Z-Lite but without the coating Thermarest puts on the foam. I have not used it much but so far no issues. I use it to supplement my airpad, I don't sleep just on the foam. The foam should not fail at the folds under normal use, I know some folks with TAR mats that have lasted hundreds of nights, and as I said these seem to be similar just without the coating. The nice thing about foam is that even if it should fail by tearing along the crease of the fold, you can still use it the same just as two pieces. I have used both the Zrest pad and the old rolled Ridgerest as a supplement to my aor mattress for winter camping. The only durability issue I have seen so far is the more abrupt corners on the folded pads can, very occasionally, catch easier on branches etc in some of my not infrequent off-trail forest explorations. If you plan on staying on trail or out of brush I don't see much of a difference. I will be using it for bicycle touring not backpacking as much. I used a old fashioned Ensolite pad for 30 years before I got my first air pad a Therm-a-Rest. I also have a Therm-a Rest air pad. You'll love it Gary...super light...and I use mine outside of my tent in different configurations as "furniture" more than I do for the thermal insulation under my pad that I purchased it for. I abuse mine...I throw it against everything and it sheds dirt and water like a champ. I have a roll-up Thermaest Ridgerest. And, as Lori said, they "last forever". Yep, not the most comfortable but far better than the old blue flat closed cell pads. 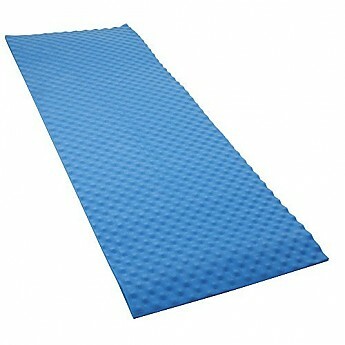 Hey, ever since the first Thermarest sold-inflator we backpackers have been spoiled when it comes to mattress comfort. But I may give it away and get a Solar version B/C it's a bit warmer and I only use my Ridgerest under my Trail Pro welf-inflataing for winter camping lately. I prefer the folding. It's easy to pack and when canoe camping in Algonquin, it worked great as a knee pad in the boat. I agree about the durability of the Z-Rest. I've used one for over a decade. They just hold up, and are super light and compact. That said, the padding is dependent on its corrugations standing off from the ground surface, so when placed on very solid ground (e.g. the hard packed dirt at The Grand Canyon's Bright Angel Campground, at Phantom Ranch) that has embedded pointy things (ditto), you feel them right through the Z-Rest, but not through a solid, roll-up pad like Insolite or an inflatable. The same for tiny objects like acorn caps and otherwise insignificant roots. The thermal insulation is not as robust as most roll-up pads. You have the thin foam corrugations, as well as the trapped air. I think the Z-Rest is fine for 3 season use in camping locations that have some duff. It's also useful for impromptu stargazing or a summer nap in the shade of a tree. While backpacking, I often use it for an instant seat cushion, by only partially unfolding it. It's very fast to unpack and spread, and fast to fold again. Not the slightest sign of stress or fatigue at the fold joints. I decided to get this foam pad at Amazon for $13. It has small dips and bumps on one side and flat on the other. Its bigger of course rolled up, but 1/4th the weight of my Therm-a-Rest air pad. In a month I am pedaling from Flagstaff to both the south and north rims and a few other places in between, so plan to test it over a months riding. Plan to still haul the air pad but not use it as much. I may even decide to sell it later. I start work at the north rim of the Grand Canyon in mid May.